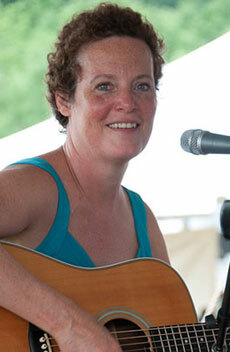 Call it what you will — folk, bluegrass, country – there’s one thing for sure: the music of the Mary Maguire Band swings! Mary and her boys take these ingredients and add a healthy dose of western swing, both instrumentally and vocally. The sound is contemporary but still decidedly rooted in the past. 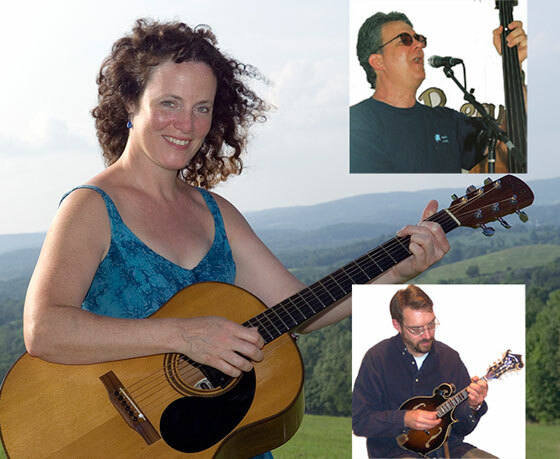 The Mary Maguire Band makes its debut performance this Saturday, Oct. 20, 2012, at Mansfield’s Rose Garden Coffeehouse, 17 West Street, for an 8 p.m. show with doors opening at 7:30 pm. The Mary Maguire Band, with Mary Maguire, Jeff Horton (top right) and John Tibert (lower right). I know that at least one member of the band will be familiar to Rose Garden followers. Bassist and vocalist Jeff Horton made several appearances with us when he was part of the great New England bluegrass group Northern Lights and with the Rhode Island group The Pegheads. Jeff and Mary’s vocal talent is at such a high level that they now lead vocal harmony workshops at New York’s Grey Fox Bluegrass Festival, at the Boston Bluegrass Union’s Joe Val Bluegrass Festival, Maine’s Thomas Point Beach Bluegrass Festival, and Connecticut’s Podunk Bluegrass Festival. Those who attend these festivals have become accustomed to seeing and hearing Mary and Jeff performing and informally jamming at campsites and campfires until the wee hours of the morning. The newest member of the group is lead mandolin man John Tibert. 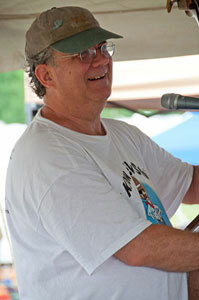 Central Massachusetts-based, John is adept on several stringed instruments and is a notable singer-songwriter. His natural baritone voice rounds out harmonies with Mary and Jeff. He’s shared the stage with Chesapeake, and performed with such bands as Drunk Uncle, Modern Drifters, and Elise Marie & the Flames. The October 20 performance will be at the Congregational Church, 17 West Street in Mansfield. The Rose Garden Coffeehouse is now in its 24th consecutive season, marking it as one of the longest continuously-running folk music venues in southeastern Massachusetts. Inspired by the coffeehouse scene prevalent in Greenwich Village and Cambridge in the 1960’s, The Rose Garden is an all-volunteer operation that serves hot and cold non-alcoholic drinks of the season along with homemade desserts and pastries. Those expecting to attend the performance are urged by organizers to order advance sale tickets at www.rosegardenfolk.com. Tickets may also be available at the door. More information about the Rose Garden coffeehouse may be obtained by calling 508-699-8122, visiting www.rosegardenfolk.com, or going to Facebook at www.facebook.com/rosegardencoffeehouse.